Who’s your Valentine? Helping Customers express the Right Love this Valentine’s Day. When you think of Valentine’s Day gifts, and flowers or a box of chocolates come to mind you are not alone. For retailers trying to generate real customer satisfaction, Valentine’s Day means helping customers find just that right gift to convey the right meaning and superior product data combined with some marketing savvy can help. If you thought Super Bowl Sunday spending was size-able, U.S. consumers are expected to spend an average $143.56 on Valentine’s Day as just over half (54.7%) of U.S. adults plan on celebrating Valentine’s Day this year. Whether they’re buying gifts for their significant others, friends or pets, total planned spending is estimated to reach $19.6 billion, up from $18.2 billion in 2017 – according to NRF. So as a retailer, e-tailer or omni-channel marketer – how do you compete for this spending? You hear a lot about customer profiling and personalization, but how does this help reach a gift giver? 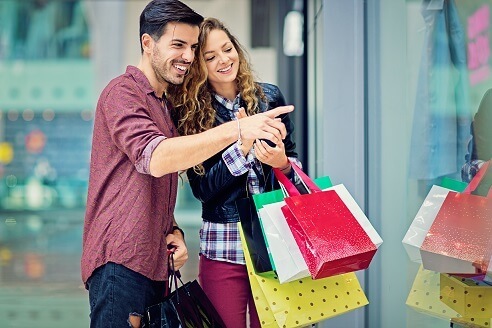 Multichannel Merchant suggests that one of the best ways to influence this wide and varied audience is to identify personas for the most common types of Valentine’s Day shoppers – outlined below – and then rely on your trusted product data to connect with them. Popping the Question: In 2012, an American Express survey found that nearly four million people expected to get engaged on Valentine’s Day and the same holds true today. According to new survey, 43 percent of Millennials say Valentine’s Day is their top day to propose or be proposed to. Younger people in particular prefer unique romantic experiences over what’s traditional or expected. Many prefer to design their own engagement ring versus choosing from a small selection in-store. Happily Ever After: This category of shopper is in a stable relationship, regardless of its length. These customers know each other intimately and may want to go beyond the traditional flowers and chocolates Valentine’s day gift route. Budding Romance: These are the newly minted couples that won’t overlook the opportunity to show their mutual admiration on Valentine’s Day. However, they use caution as these budding Valentine’s don’t want to seem too eager, so showing they care – but not spending too much might be a purchase driver. These shoppers may not know one another too well yet … shopping hint 2.0 take clues from social media. When someone likes a product, it can also mean “liking” a product for all of their friends (and their significant other) to see. Call Me Maybe: Valentine’s Day also encourages secret admirers to let their feelings be known. However, the gift needs to send the right message while also inspiring the object of their affections to reciprocate. Hint: how to choose the right color rose for your affections. Where Did Our Love Go? These shoppers are hoping to rekindle a cooling relationship. Romantic gifts and getaways might rekindle the flame for these Valentines. How can superior product data help point cupid’s arrow? Product data helps marketers and merchandizers reach into their own data and develop offers to entice and hook Valentine’s Day shoppers no matter what kind of Valentine’s Day they are celebrating. Shoppers will respond to products that hit the mark. Tantalizing imagery and product descriptions have a large impact on particularly online shopping, and brick-and-mortar sales are largely influenced by digital information sources … so the richer the product data and imagery the better the chances for a sale. A Riversand MDM Solution with PIM and Digital Asset Management (DAM) help retailers make the most of their product data so that customers send the right message to their Valentines. One company – and Riversand client – set to capitalize on this trend is Jewelry Television. JTV nuances gemstones and jewelry product content today in ways not possible without MDM. With over 37 pieces of content per gemstone, PIM helps JTV not only nuance product descriptions, but also create special promotions – for Valentine’s Day! And by the way, not all spending is devoted to romance. This year’s survey found consumers plan to spend an average $85.21 on their (above mentioned) significant other/spouse, but don’t forget that they also plan to spend $26.59 on other family members such as children or parents, $6.56 on children’s classmates/teachers, $6.51 on friends, $4.27 on co-workers, and $4.44 on pets – one of the fastest growing online categories.